I caught the bus from Kilmory back to Acharcle to the start of the walk. Today I was going to walk around the top half half of the Ardnamurchan Peninusula which juts out towards the Atlantic. Although I would walk over 50 miles over the next few days, I would only be 6 miles further south from the start of the week! Today’s walk had a combination of bus, walking and a cycle ride. It started in a village, walked the side of a loch, took me through a forest, along a beautiful beach, over a mountain pass and down through another hamlet. All during that time, I didn’t see a soul on the way. When the walk goes through remote territory like today, it is important to relax and concentrate on the walk. If the weather is bad and the clouds feel as if they are suffocating you, the sense of loneliness is so palpable that I have to keep focused and I find myself constantly checking my navigation and making sure I’m sure where I think I should be! I think that gives me a modicum of security. 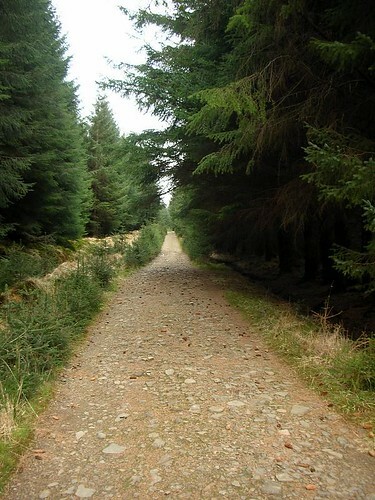 Today’s walk despite it’s lack of people (lack of anything! ), was a good one though as the views after I climbed above Kentra Bay and Gortenfern where fantastic. 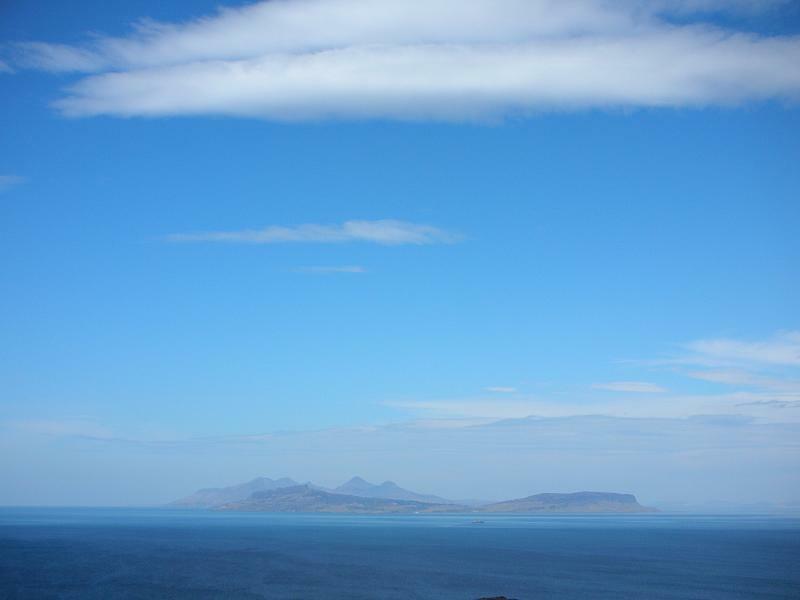 The views north to the islands of Muck, Rhum and Eigg were amazing. In the distance, the snow capped Cuillins could be seen clearly although they must have been over 35 miles away. I was so thankful I had a good day to have the opportunity to witness such breathtaking scenery. You are currently browsing the Scottish Coastal Walk blog archives for the day Tuesday, April 22nd, 2008.